Brilliant symmetrical shot. Loving this series! [http://www.flickr.com/photos/iphoneographylondon] thanks. 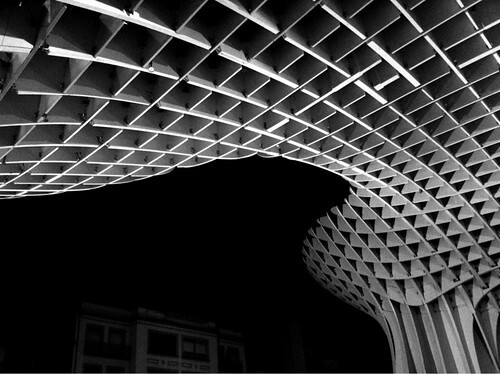 This structure is an urban landscape photographer’s dream! As you move a bit everything changes. Furthermore, I have chosen a rainy night and in Sevilla it made it unreal. Great shapes and use of light and darkness. I really, really like the balance in the overall image. [http://www.flickr.com/photos/anthonyvitale] Thanks Anthony. The structure is really amazing.